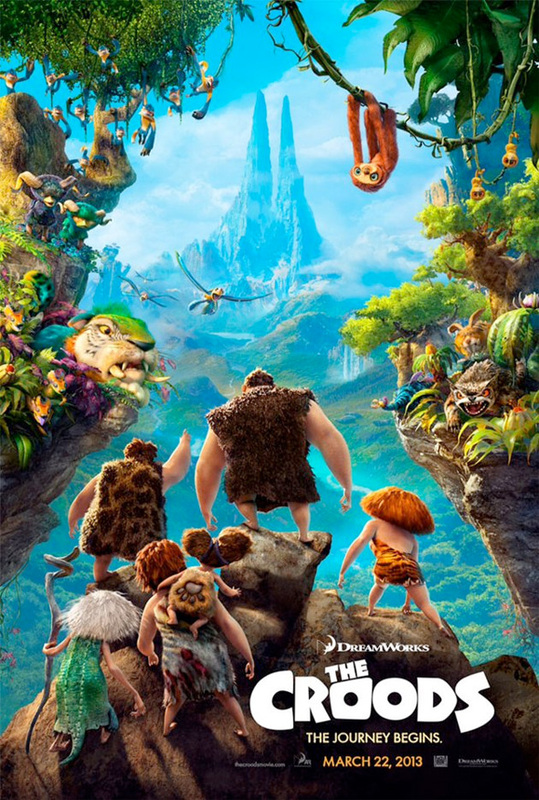 After seeing several first look photos revealing the characters from DreamWorks Animation's comedy The Croods, we finally have the first official poster for the film which features the voice talents of Nicolas Cage, Ryan Reynolds, Emma Stone, Clark Duke, Cloris Leachman, Catherine Keener and more. The studio is slow rolling the reveal of the family (which seems weird since they were all shown very clearly in the most recent promo photo), but there's plenty to see on this poster. The first trailer should be arriving very soon, so stay tuned to see how this film from the How To Train Your Dragon filmmakers turns out. this is the only thing Nic Cage have left in this Industry, is his voice.